We’re a snap-happy bunch nowadays, collectively sharing more than two billion photos every day on Facebook alone. But there are some photos and videos that you don’t want to share. Maybe you prefer to keep pictures of your kids private, you don’t want anyone seeing that video of you on the dance floor, or you have some saucy snaps. We’re not here to judge, but we advise you to take some precautions to protect your privacy. Here’s how to hide photos on your Android device. Sadly, there’s no secure function for hiding photos on a stock Android device. However, many Android device manufacturers offer built-in privacy features that help you to hide your photos and other files easily. 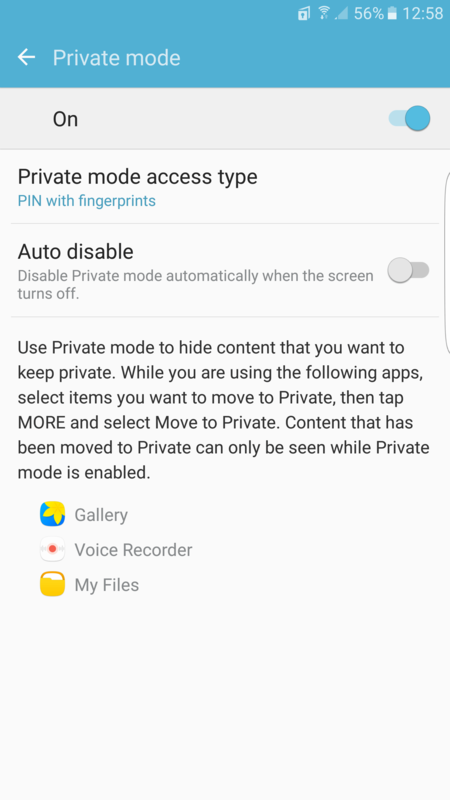 If you have a Samsung phone, like the S7 Edge, then you’re in luck because there’s a robust, secure mode to keep your private photos and videos private. Go to Settings > Privacy and safety > Private mode. Choose your Private mode access type. 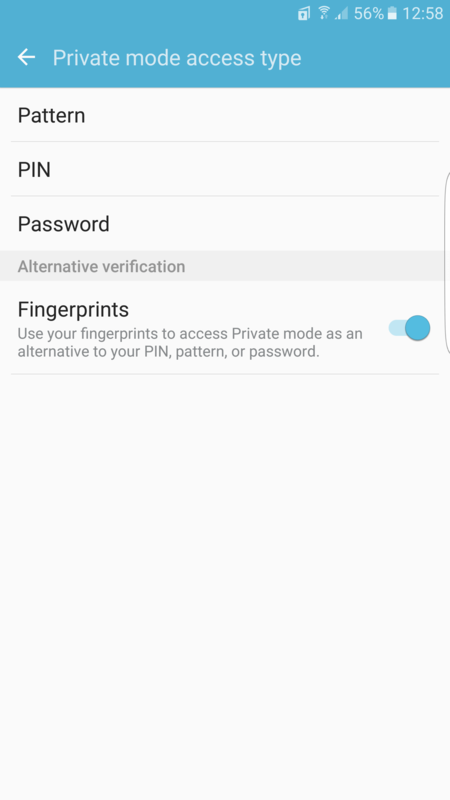 You can choose Pattern, PIN, or Password with Fingerprints as an alternative. When Private mode is toggled on, you’ll be able to see private content. When it’s toggled off, you won’t. Every time you toggle it on, you’ll be prompted to enter your PIN, use your fingerprint, or whatever access type you chose. There’s a small padlock icon in the notification bar when Private mode is on, alerting you to the fact that private content is accessible. We advise turning on Auto disable in Private mode, too, so that your private content is automatically hidden when your screen turns off. Open the Gallery app and find a photo you want to hide. Tap on it and tap More at the top right. Choose Move to Private from the drop down list. If you ever want to unhide it, simply tap More and choose Remove from Private and you’ll be asked to select a folder for the photo to be restored to. 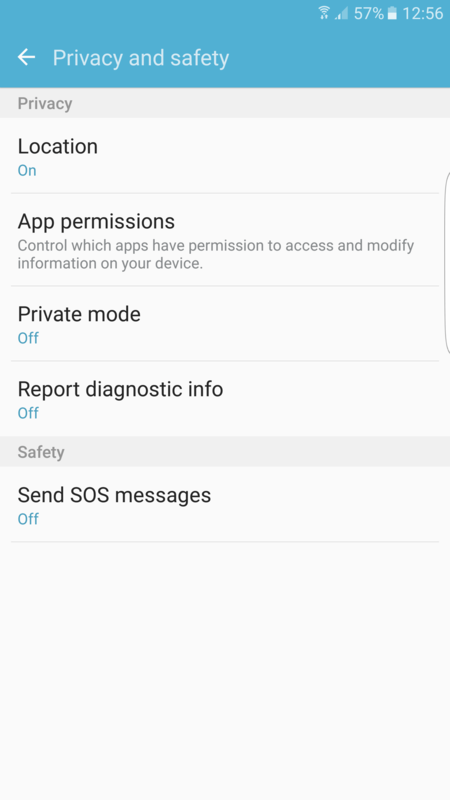 If you have an LG phone, like the LG G5, then you can also take advantage of a built-in privacy feature. Go to Settings > Fingerprints & security > Content lock. Choose the lock type you want to use – Pattern or Password. You can also toggle on Fingerprints. With Content lock set up, it’s easy to hide photos. Open the Gallery app and choose the photo you want to hide. Tap the three dots at the top right, then More > Lock. You can do this with multiple photos or you can create a folder and lock the entire folder. To view locked photos, tap the three-dot icon in the Gallery app and select Show locked files. You’ll be prompted to enter your Password, Pattern, or use your Fingerprints to view the locked photos. NOTE: Remember that if you have an automatic cloud backup service turned on, your photos may be uploaded automatically before you’ve hidden them. If your phone or tablet doesn’t have a built-in security option for hiding photos, then your best bet is to download and install one of the best photo hiding apps. There are a couple that we recommend. Here’s a great, free photo hiding app for Android. You can put photos or videos into your vault and they are only accessible by entering a PIN or password. There’s an optional, automatic, online backup built in, which encrypts your photos and uploads them to your Google Drive. You can also set up multiple vaults for different photos and videos, all with different passwords to gain entry. Vaulty has a mugshot feature, too, which snaps a photo of anyone trying to gain access. This is a very popular app for hiding photos on Android and it’s easy to use. It’s like a secure locker. You choose what photos and videos to add to it, and you can only access them by using your PIN, pattern, or fingerprint. It also backs up your photos and videos via an encrypted private cloud. You can even use Keep Safe to send photos securely and include a time limit, so that they disappear after 20 seconds. If you’re willing to pay $5 per month or $24 for a year, then you can get the Premium version which includes a fake PIN for a decoy photo vault, a secret door to disguise the app, and break-in alerts.